I am honored to be your Grand Knight for our council this year. Thank you for your show of faith in my abilities to guide us further on the solid path. Along with the Brotherhood of the Knights and my seasoned officers, I realize that I am not alone on this journey. The leadership of this council is only as strong as its members. Without strong leadership the members cease to exist as a council. Without the members, the leadership ceases to exist. We are in this journey together. I encourage every member to participate, to voice your concerns and to offer solutions. None of us is as good as all of us. 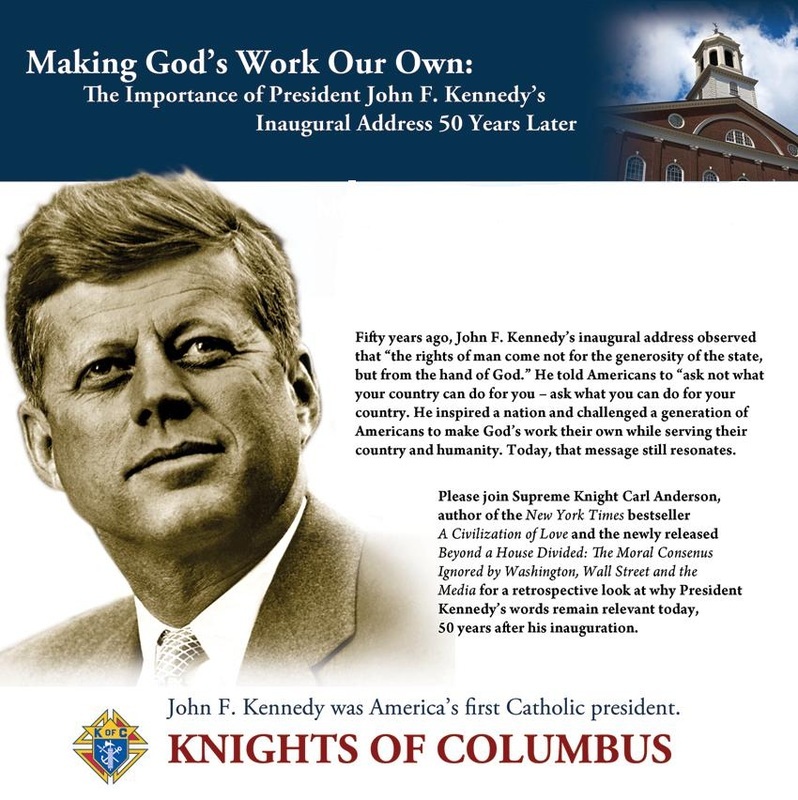 The Principles: Charity, Unity, Fraternity and Patriotism are the solid rock on which the foundation of the Knights of Columbus is build. Father McGivney’s dream and direction is the light on the hill. We must continue his dream. We must continue to be the light on the hill. We are beginning a new year and I encourage every member to participate. Your voices, your concerns, your solutions, are what are necessary to make this a strong council. This years message “Be His Light” is the direction that I wish to take the council this year. Again, let me say that I an honored to be your Grand Knight for our council this year. I look forward to the upcoming year and ask each member to keep Father McGivney’s dream in your heart.